April 27th, 2016 | Categories: Home Staging Tips. Tags: home staging, home staging professional, home staging questions, and staging an empty home. Most people need a little help in constructing their fantasy home, and when you’re selling your house, that’s exactly what you want your prospective buyers to see: their fantasy. Most prospective home-buyers are more apt to see themselves in a home that already looks like, well, a home. Unless buyers are looking to convert the house into an art gallery, blank white walls and empty rooms aren’t going to help sell your house. 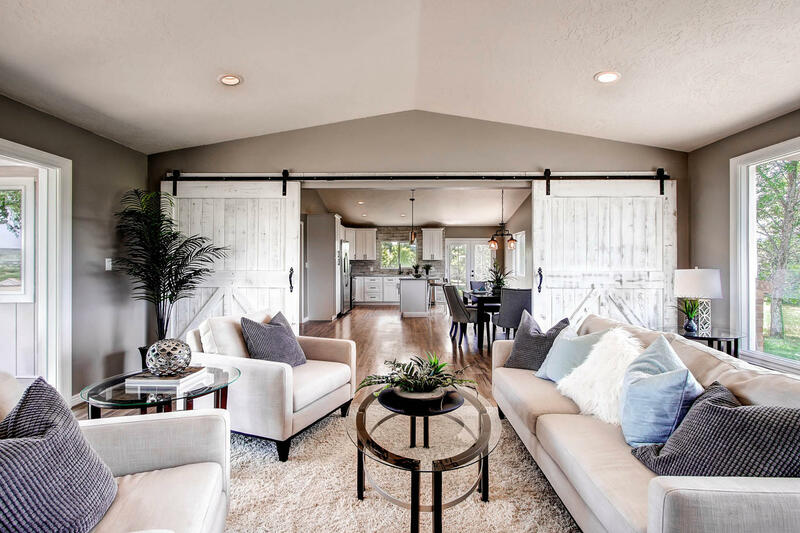 Whether you decide to consult a professional home stager, like the experts at White Orchid Interiors, or choose to rely on your own home staging prowess, there are a couple of things to keep in mind as you implement home staging in your empty home. Staging an empty home means you’re one step ahead of the game; you’re beginning with a clean slate, or at least, an empty slate. First rule of thumb in showing your home is making sure it is as clean as possible. If you only plan on bringing in minimal furniture to make the most out of home staging in your empty home, know that the your home’s dirty corners (and normal wear and tear) will be easier to spot. You want your home to look lived-in, not over-run. So if it’s been a number of years since your last paint job, apply a fresh coat before putting your house on the market. Not only will that add to the clean appearance of the space but it may increase your property value as well. 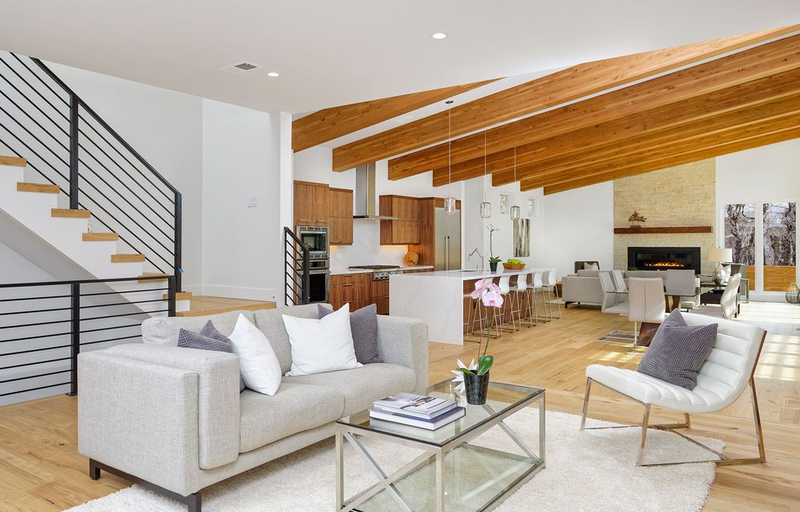 When you begin staging your home, take the design of the house and neighborhood into consideration: mid-century furniture may look great in a modern home, but could feel completely out of place in a Victorian-style abode. Your buyers will know what they are looking for, and will be expecting the interior design aesthetic to match that of the exterior. 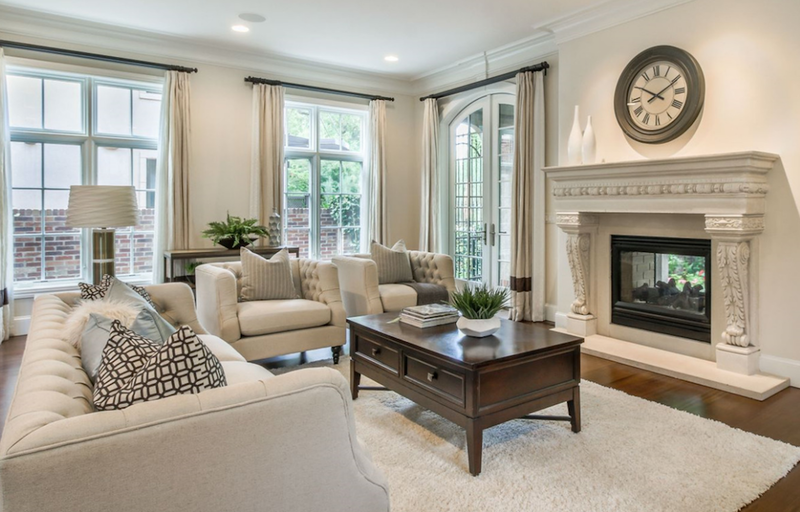 White Orchid Interiors’ home stagers are skilled in blurring the distinction between home staging and interior design. They possess a wealth of knowledge about various design styles and aesthetics, and will be able to perfectly coordinate the decorative program of your home so it is coherent and well-integrated. 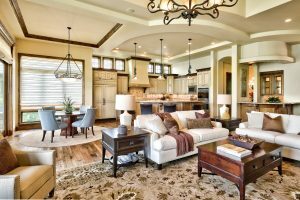 Staging an entirely empty home can seem daunting, but remember it’s often the small touches that can really add to the homey quality of a house. Soft, fluffy towels and rugs in the bathroom and dishtowels in the kitchen are nice ways of taking the extra step in making your house look more like a home without a lot of work. Small additions can better integrate the entire design program of the house, pulling in accent colors and aesthetic choices. An empty home has likely been locked up and can feel a little stuffy. To prepare for showings, open the windows to allow for fresh air to circulate through the space, removing any feelings of stagnancy or staleness. Need A Hand Home Staging Your Empty Home? Keep in mind that home staging your own empty home can be arduous and stressful. Coordinating furniture rentals, conceptualizing a design plan and executing everything perfectly before you begin to show your home can feel overwhelming, especially when you’re already coordinating a move and purchase of a new home. Save yourself the time and worry, trust the expertise of the home staging professionals at White Orchid Interiors. With years of experience, every White Orchid home stager is equipped with the know-how to get the job done efficiently and effectively, transforming your empty house into a home prospective buyers dream home.